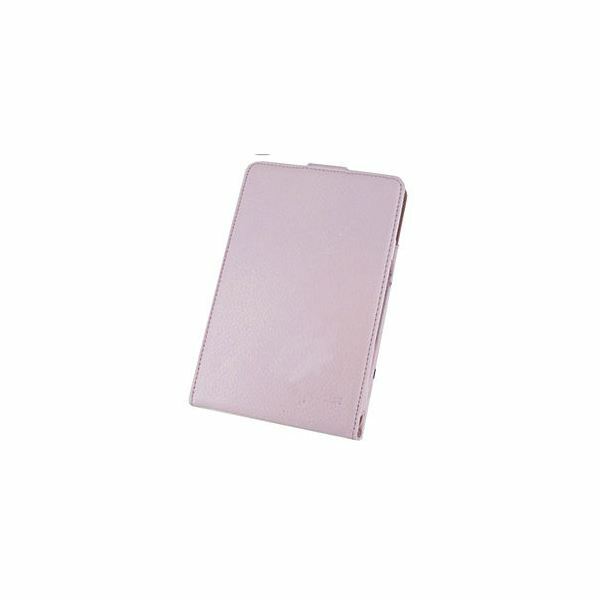 The rooCASE Folio leather case comes with an adjustable stand so that you can read your kindle in the upright position. Other than that, this case has a very plain style that will go very well with coordinating skins. It is available in pale pink, gray, black, and red. The cost is $39.09. 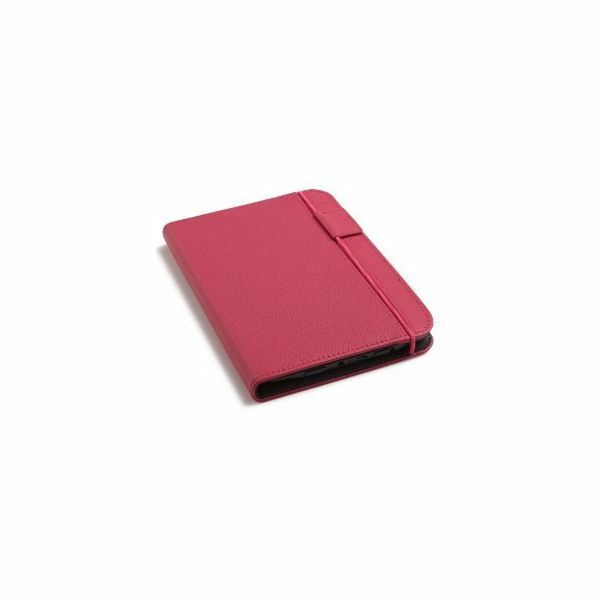 I own the black version of this Kindle pink cover for my latest generation and have to say that I liked it so much that I bought a red version for my DX. The pebbled leather is easy to clean. I also like how I can bend the front cover all the way back and have it fall back into place when I close the cover. There is one thing that I don’t like about this cover: the “rubber band” string that keeps the cover closed. I wonder how easy this is to replace, should it fray and/or snap from repeated use. Other than that issue, I would recommend this cover to anyone who owns a Kindle. The cost is $34.99. The Rasfox leather case was designed not only to fold back, but to give access to all ports and buttons. This case sells for $29.99. You can get it for 20% off by entering the code: NewYear20. 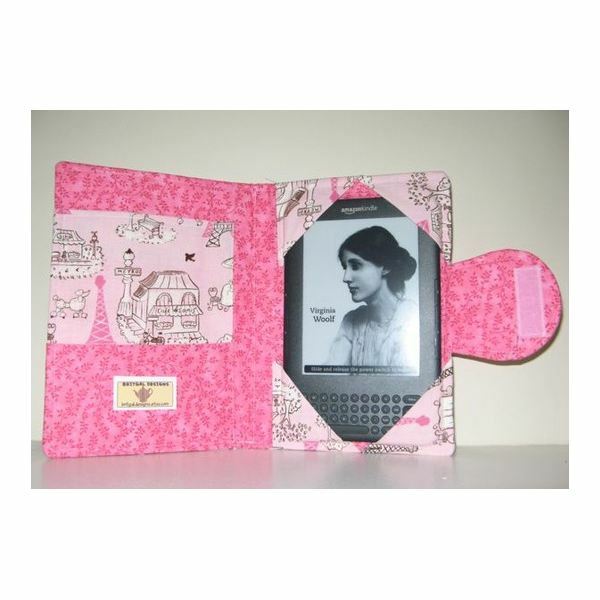 This E-Reader cover will fit your Kindle 3, with about an inch of room to spare. You will also find smaller pockets for notes or cards. The Velcro fastener will keep your Kindle protected when it is not in use. Based on the photograph, this cover was made for Kindle storage only. The top corners are cut off, and several of the bottom buttons and ports are obscured by the fabric. If you are looking for someplace to hold your Kindle when you’re not reading, this cover will be a cute alternative to the leather cases that I discussed earlier in this article. The cost is $34.00. If you would rather hold your Kindle than saddle it with a cover, a skin will work very well in protecting it from normal wear and tear. 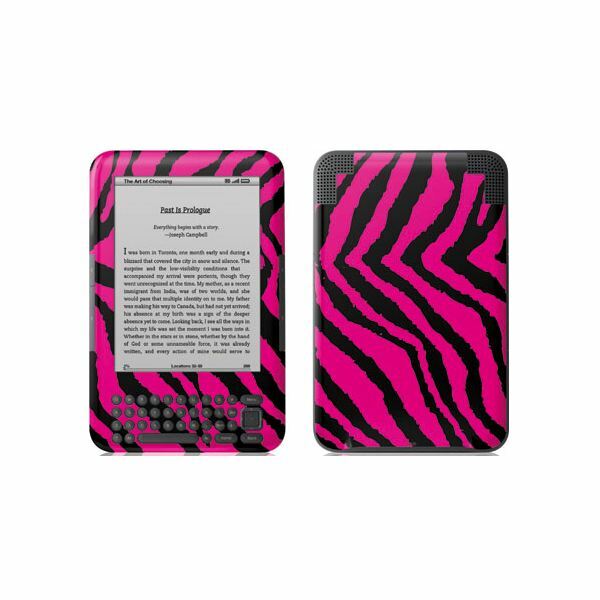 This Retro Zebra Skin from Skinit is a high-quality, durable skin that will not fade over time. What’s cool about the Skinit site is that you can create your own skins. So if this Zebra skin is too flashy and the other pink skins are not what you’re looking for, create you’re own! The Zebra skin costs $24.95. 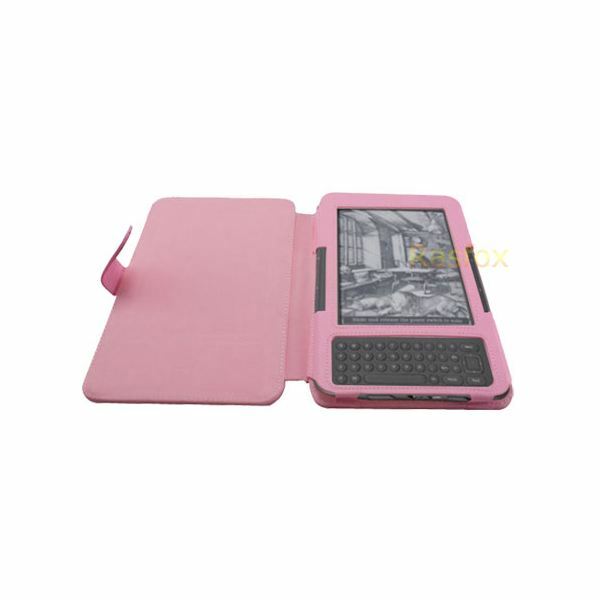 I hope you find one of these items suitable for your own Kindle. With all these options to choose from, I hope you get some ideas of what you would like.